Provided by BU Athletics The athletic department announced the hiring of Bethann Shapiro Ord as the new women’s basketball head coach this past week. Shapiro Ord was most recently manning the sidelines for Weber State for the past seven years. 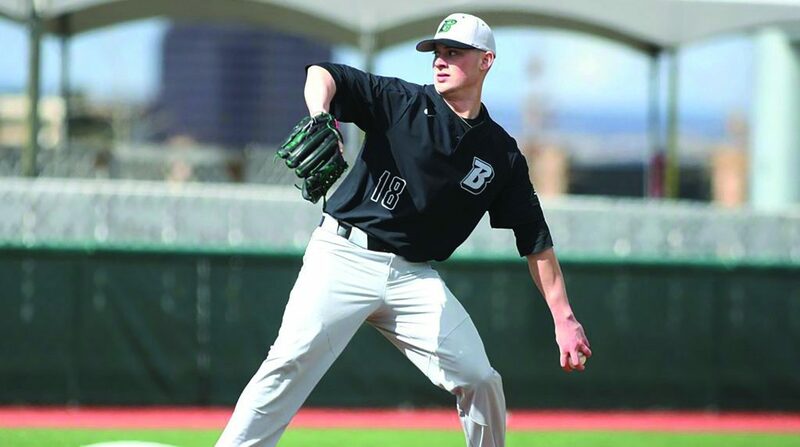 Despite a down year for the Binghamton baseball team, the program continues to showcase its ability to develop players, with this year marking the fifth consecutive MLB draft in which a Bearcat was selected. Left-handed pitcher Nick Wegmann was chosen by the Seattle Mariners in the 34th round of the amateur draft on June 6. Wegmann had signed a contract with the Washington (Pa.) Wild Things of the Frontier League, but has since departed from the team for an assignment with the Rookie Level AZL Mariners. Wegmann was in the midst of prepping for a game with the Wild Things before he received word from Seattle. During his brief stint with Washington, Wegmann recorded three strikeouts in 3.1 innings as a reliever. Wegmann became the 14th Bearcat who was selected in the draft since 1990 and joins former teammates Justin Yurchak, Dylan Stock, Mike Bunal, Jake Thomas and undrafted free agent Reed Gamache in the Minor Leagues. Wegmann was a reliable starter for most of his career at BU, putting together his most prolific performances in his sophomore and junior seasons. Striking out 70 batters during the stretch, Wegmann’s 3.29 ERA helped earn him a record of 6-5 over the two seasons. Wegmann was twice named to the America East (AE) all-conference team. The southpaw had an up-and-down senior season, but still put together some memorable performances, tallying five quality starts on the year. Wegmann’s potential was flashed in standout games against UMass Lowell and Albany when he pitched a combined 14 scoreless innings and struck out a total of 16 batters, earning the win in both efforts. He anchored a BU pitching staff that finished with an AE-best ERA of 4.46. During the latter years of his career in Binghamton, Wegmann was frequently caught by his brother, junior catcher TJ Wegmann. The brothers had a natural rapport from the beginning, as Nick allowed only three hits and one run over 13 innings during TJ’s freshman year in 2017. After appearing in the NCAA tournament three times from 2013-16 and being AE champions in 2017, Binghamton struggled mightily this past season, failing to qualify for the AE tournament. Losing nine seniors, the team’s roster will be significantly younger next spring.